This is also one of my top five favorite ads I have ever seen since I began seriously collecting them in 2011. To me, that is as perfect of a 1950’s female face illustration as I’ve ever seen. 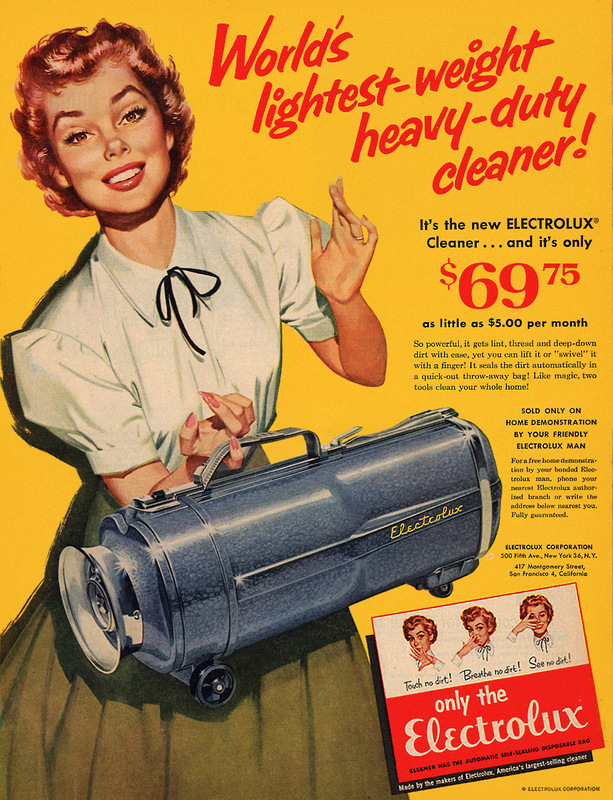 Posted in 1950s, Retro/VintageTagged advertising, Americana, cleaner, illustration, vacuumBookmark the permalink.